Even bigger and more sumptuously fitted out than the Standard room, we have five Deluxe Double rooms similarly furnished with locally made, handcrafted furniture and built-in cabinets. Panoramic glazing opens onto a large private terrace overseeing Mt. 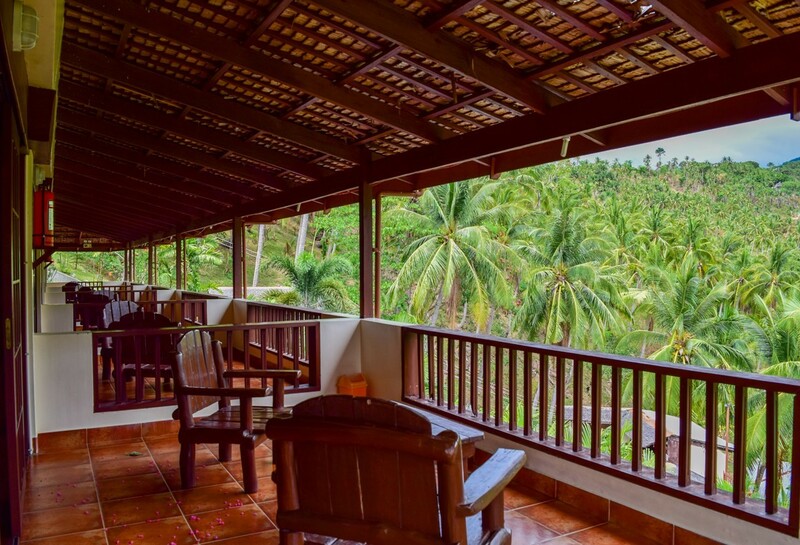 Malasimbo with some rooms overlooking the beaches of Talipanan and the South China Sea. 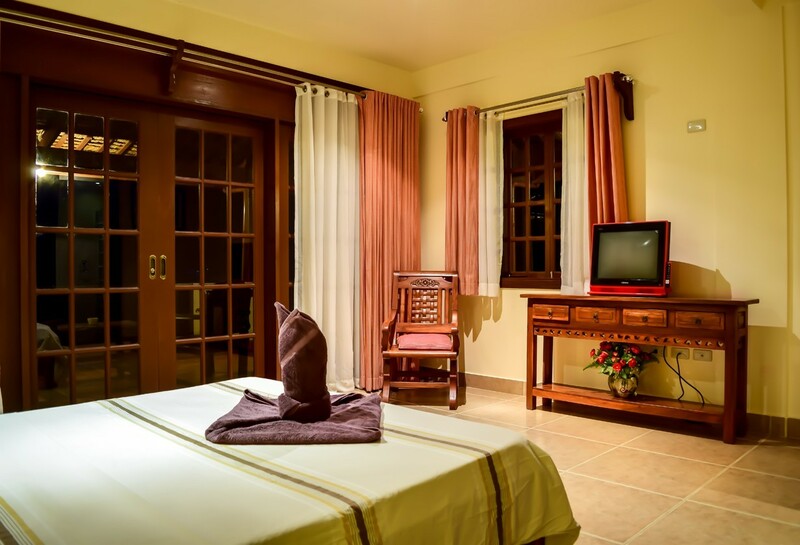 There is a luxurious ensuite bathroom with hot and cold shower, personal refrigerator, air conditioning and cable TV. All efforts toward your comfort and privacy during your stay are ensured. 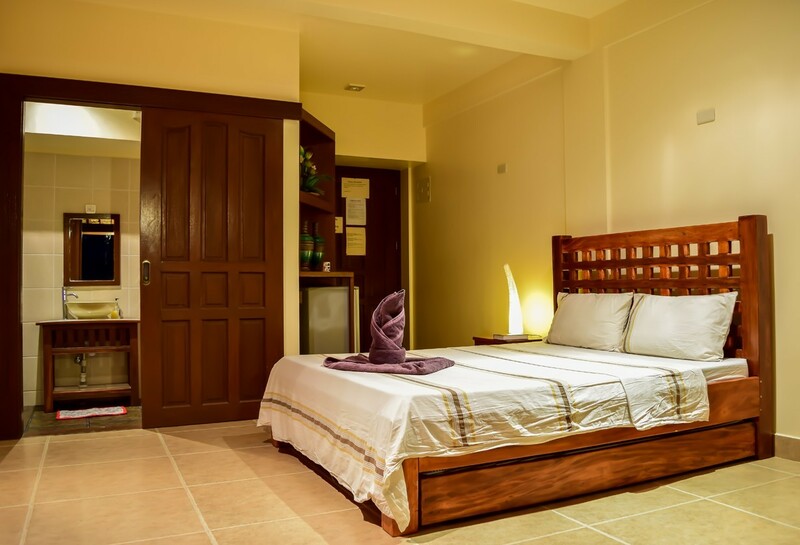 Our basic rate is Php 5,450 per night for two pax sharing. 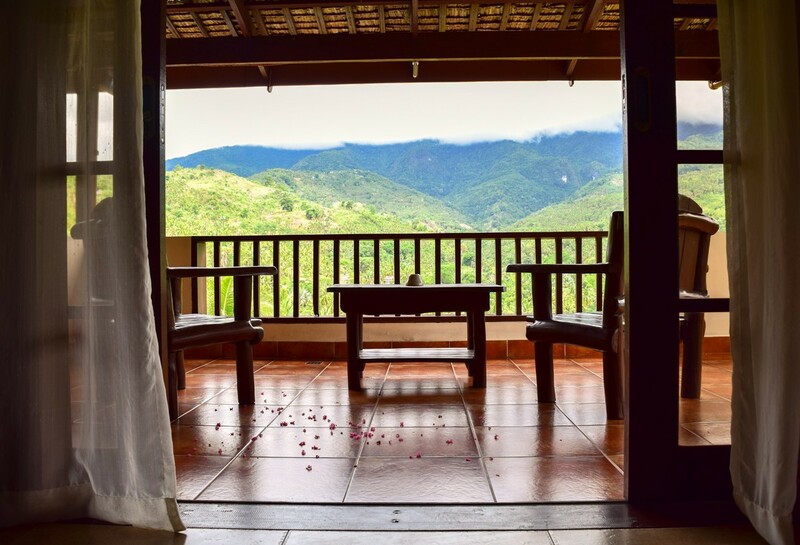 With an extra Php 700 per night for each additional person. Max capacity for the room is 4 pax. Please see our Promos page or contact our reservations office on info@tribalhills.com or by phone on +639175750599/ +639173117717 / +639988679528 in between 8am-6pm (Philippine Standard Time).